There are many resources available to support educator development activity. This page will be updated frequently with the most up-to-date medical education publications, podcasts, journals and links. Please click here for a list of Deanery Medical Education Publications. This guide builds on the 2016 Academy report Improving Assessment: Further Guidance and Recommendations1, which details the background, current status and likely developments in assessment in the workplace. 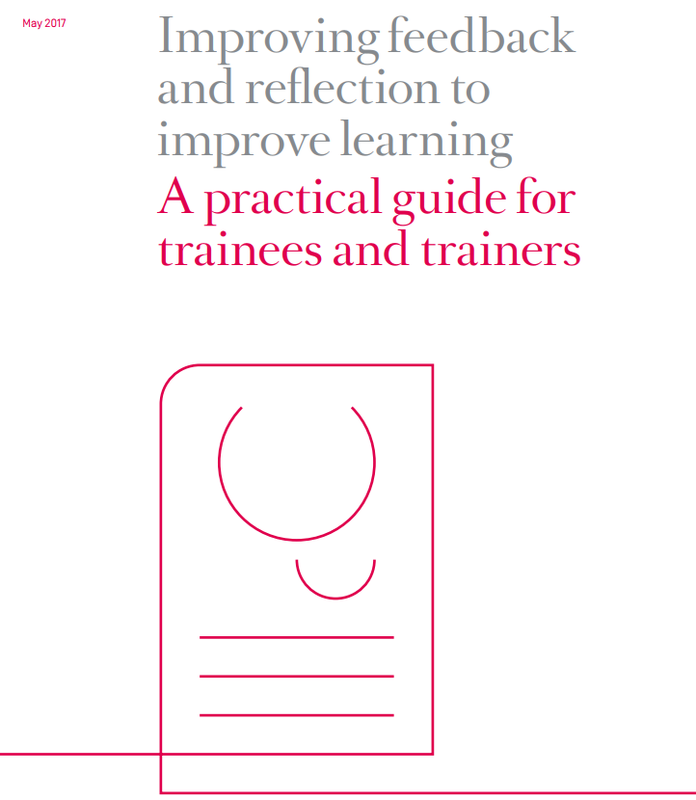 The recommendations of the report include a number on feedback and learning development. E-Learning for Healthcare (http://www.e-lfh.org.uk) is an award winning e-learning programme providing national quality assured on-line training content for the healthcare profession. 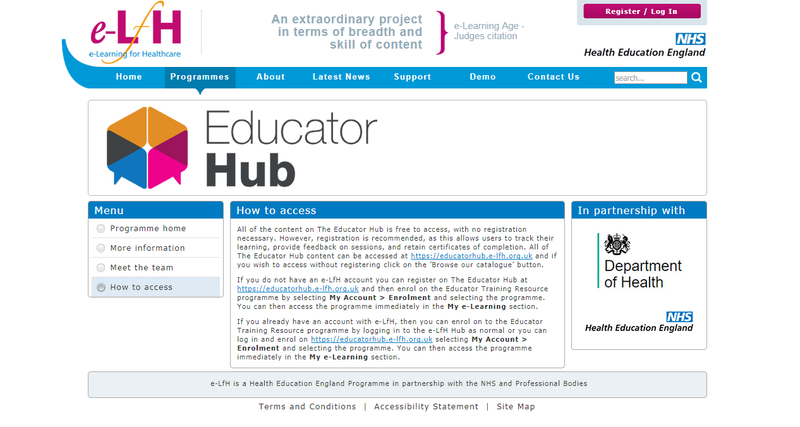 The recently developed ‘Educator Hub’ is a web-based multi-professional e-learning resource for clinical educators from across the country. Up to 50 modules are available (with additional complementary resources to be added in due course). The modules are free to access and are listed against the Academy of Medical Educators seven domains (adopted by the GMC) used in the recognition and approval of trainers. the creation of a culture of best evidence education amongst individuals, institutions and national bodies. Provides current research practice and thinking in Medical Education. Relevant to practicing Clinicians in a teaching role. Provides papers on all aspects of Medical Education. 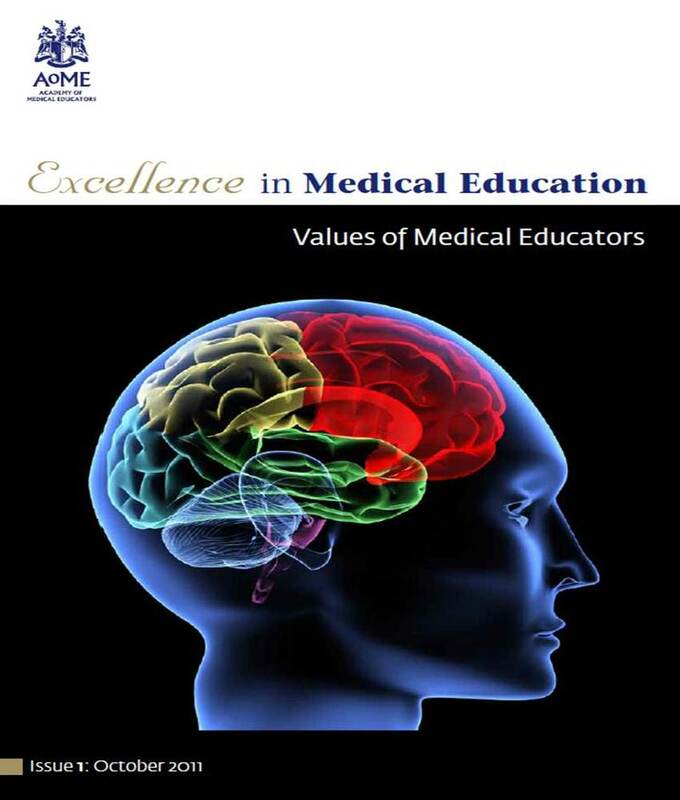 Relevant to Teachers of Medicine, Medical educators, Administrators of Faculties and Medicine workers and researches involved in the development of medical education. Free to all student and individual members of AMEE. 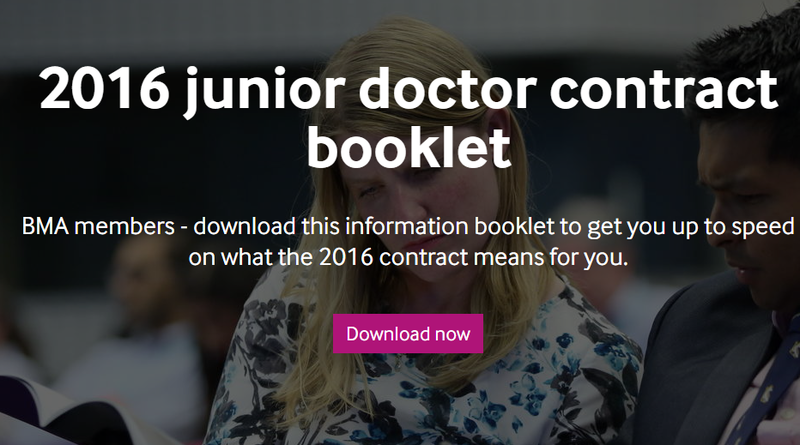 Addresses the needs of examination candidates and focusing on core competencies for junior doctors, provides Education and practical resources for teaching purposes, and clinically relevant and up to date articles. Relevant to Trainees, Trainers and Doctors of all grades and specialities. Quarterly journal focussing on the themes laid out by our Professional Standards. The aim is to highlight important educational topics, discuss challenging and controversial issues and stimulate debate. The series embraces 21st Century medical education with expert reviews, interviews and specialist articles. 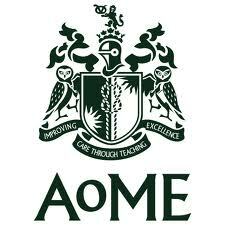 Excellence in Medical Education has been designed for the active busy medical, dental and veterinary teacher. The first edition has been published to allow universal (public) access; future editions will only be available to members using the member's area of the Academy's website. Please click here to be taken to the online version of Issue 1.